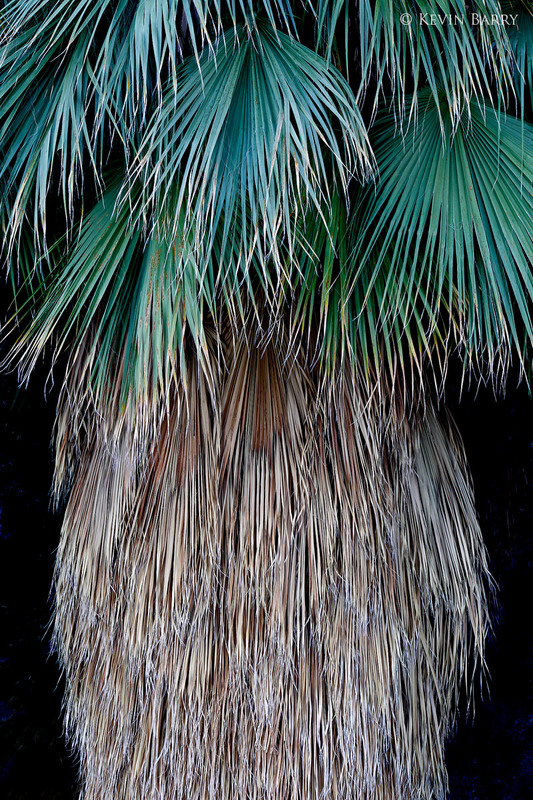 The California fan palm (Washingtonia filifera), also known as the desert fan palm, is a flowering plant in the palm family (Arecaceae), and native to the far southwestern United States and Baja California. Growing to 49-66 ft. tall by 10-20 ft. broad, it is an evergreen monocot with a tree-like growth habitat. Photo © copyright by Kevin Barry.